Diesel fuel efficiency without the noise and roughness. Leading the industry in power-to-weight ratio. Giving you a full-throttle day on the water. Smooth, effortless cruising. The reliability of a Mercury engine, the power of a diesel. Up to 550mhp for sport yachts. Excellent torque and reduced plane time. Drives hard, handles well. 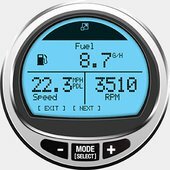 Giving access to dozens of engine, boat and navigation functions with Mercury’s extensive selection of SmartCraft® digital gauges and multi-function displays. Top-mounted fluid reservoirs, self-draining oil filter and easy-to-reach oil dipstick offer low cost of maintenance. Builds exceptional torque at low engine speeds, providing excellent acceleration and reduced time to plane. 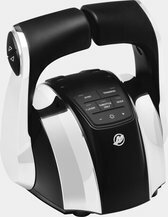 Cools the compressed hot air from the turbocharger, enhancing overall performance. Provides the best corrosion protection and durability – inside and out. Advanced turbocharger technology. Inboard and sterndrive power that can't be beat. And fuel-injection systems that virtually eliminate the noise and harshness you expect from a diesel engine. More than an engine you can count on. A diesel experience like no other. Mercury diesel-powered engines give you unparalleled durability. Thermostatically optimised closed-coolant systems. 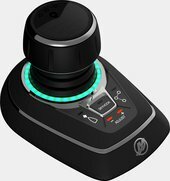 Advanced control systems. And ultimate corrosion resistance. These engines are built to go the distance. Heavy on performance, light where it counts. 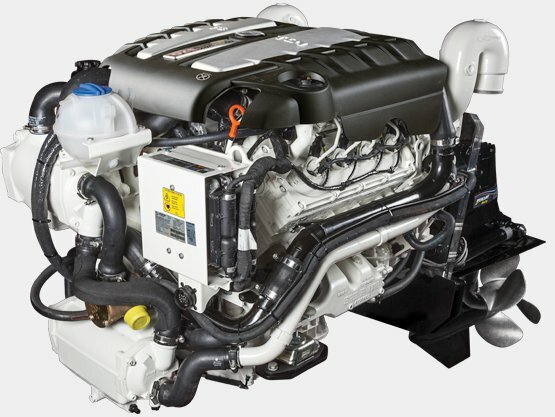 Mercury diesel leads the industry in power-to-weight ratios, delivering heavy-duty propulsion in a lightweight package. For you that means quicker acceleration, faster planing, and improved maneuverability. Higher efficiency, too. Another bonus. Advanced intake systems keep Mercury diesels running easy and clean. None of the harshness or fumes from traditional diesels. And an increase of up to 50 percent in fuel efficiency compared to gas engines of the same horsepower. More reasons to go Mercury diesel.